Engraved and Printed for the Editor, and Sold by him at his house in Warwick Street, Golden Square, St. James's, [London, c.1770] - Engraved throughout on the recto of 16ff. 12mo. [147 x 100 x 10 mm]. 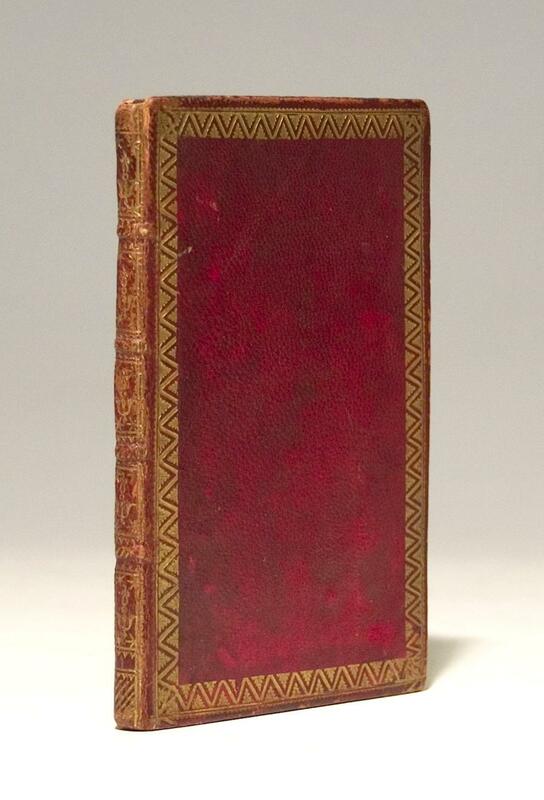 Bound in contemporary red goatskin, the covers with a gilt zig-zag roll border. The spine divided into five panels, each tooled in gilt with a fleuron and stars, the edges of the boards and turn-ins tooled with gilt zig-zag roll, marbled endleaves, gilt edges. (Upper head cap chipped, joints a little worn). A good copy of this engraved work, recording the order of precedency from the King and Queen down, in a Procession to the Chapel Royal, and with a Memorandum on Collar Days and Offering Days.